In this post, we will learn how to ignore or disable test methods or classes while running test cases. To ignore a test in JUnit you can either comment a method or delete the @Test annotation, but the test runner will not report such a test. Alternatively, you can add the @Ignore annotation in front or after @Test. Test runners will report the number of ignored tests, along with the number of tests that ran and the number of tests that failed. Note that @Ignore takes an optional parameter (a String) if you want to record a reason why a test is being ignored. Let's create a simple maven project to demonstrate usage of ignore tests in Junit 4. Let's create a standard Maven web project structure. You can run tests from the maven command as shown below. In this guide, we have learned the how to Ignore Tests in Junit by creating a maven project. 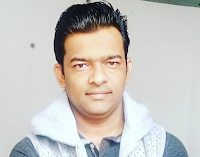 The source code available for this guide on GitHub](https://github.com/RameshMF/junit-developer-guide/tree/master/junit-ignoring-tests-examples). On GitHub, there is a multi-module project and this getting started project is a module of it.